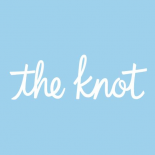 Get ready for your wedding day with The Knot. Prizes include gift bags, skincare products, travel accessories, + other surprises for players! And just like that, our Wedding Day Shape Up Challenge has come to an end. A huge congratulations to everyone regardless of whether or not you hit your weight loss goal.You're all winners in our book because you took that first step and bet on yourselves. 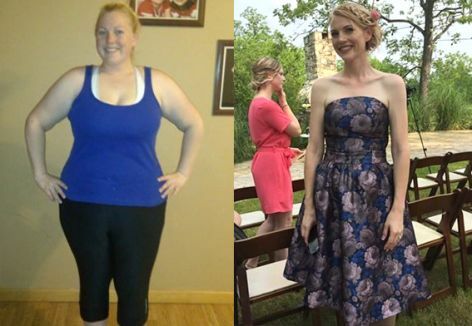 The winner of our "3 things I learned during the Wedding Day Shape-Up Challenge" contest is Ellen K! Thank you all for sharing your healthy tips. They were insightful, unique and inspiring! Remember, the secret to losing weight and keeping it off is adopting healthy habits, believing in yourself and surrounding yourself with a supportive community. You are always one choice away from making your goals a reality. Congratulations again everyone, keep up the inspiring work! Ellen , Cindy and Julie D. like this comment. Exciting! Thanks. I cannot remember, do I get a prize? Will you be hosting another dietbet? - Most Liked Player: Marla B. - Most Generous Liker: Marla B.
Kmae , Stephanie P. , Erica K. , Jen B and Maira like this comment. I thought I had until 11:59 tonight to submit my weigh in?! I actually made my goal and DIDN'T get the free donut at Dunkin today when I took my students. I wish I would've if I would have known I couldn't submit my weigh-in. Wouldn't it be 8pm right now then? Stephanie P. , Ellen , C A. and Kate like this comment. I thought I had until this morning! Ah! That's okay. I was .5 away from my goal anyway. So very close! I still lost 5.5 pounds, and will continue on my journey. Thanks for all the support, everyone! I wish you all well in the wedding planning/festivities, and your futures! Kim , Stephanie P. and 4 others like this comment. Hey Knot - would you consider hosting another one of these?? I had a hard time getting started and will not be a winner this time around. Cara B. , Ellen and 4 others like this comment. Where is the Knot? I feel like they have not been around the past two weeks. I agree! I love this diet bet!! Very good motivation plus it's great to talk to other brides and get advice from you all!! I didn't make it, but I lost 4 pounds and that's 4 more pounds than I was able to lose in previous months! I'll take it, and I hope to see some of you in the Transformer challenge! Stephanie P. , Ellen , Kate and Molly S. like this comment. So I didn't make it... but I lost 4lbs! That's a win in my book. Double or nothing with a weekly kickstarter!! Congrats to all who made it, lost anything at all, or just plain feel better! Stephanie P. , Melissa N. and 4 others like this comment. Dietbet please help. Was it 17 min. I had and not hours out what the heck happened? I can't put in my weight!!! It says i had 17 hours left and then i take my picture and i can't anymore. What the heck? Please help.